Whether you’re saving a GIF, JPG, or PNG file in Photoshop CC, you probably spent some time experimenting with settings to find what works best for your needs. Save selected options to reload later by saving the settings. Do so by clicking the arrow to the right of the Preset drop-down list. Select Save Settings from the list that appears and name your settings. Your named, customized settings then appear in the Preset drop-down list. If you are busy creating designs for websites and applications, you will appreciate the Generate Image Assets feature. This feature allows you to name layers by adding extensions to layer names that will automatically determine the file format upon saving. Follow these steps to try out this feature. Open a file that has multiple layers. Note that the Generate-Assets file has three layers. In the Layers panel, add extensions to the end of the layer names. 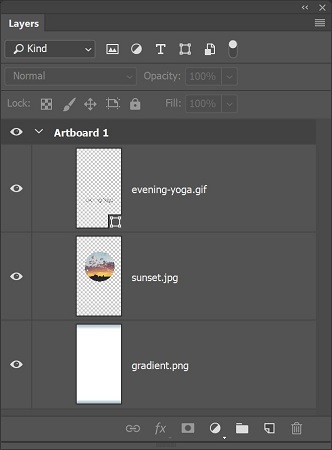 Add extensions to the end of the layers’ names. The names below are examples of how you might structure your own layer names. Now choose File→ Generate→ Image Assets. You don’t see it happening, but a new folder has been created in the same folder location that is named Generate-Assets-assets. Inside this folder are the named layers, in the format that you indicated by using the extension you added. A great time-saving feature for those creating complex art for applications or the web.